Heathers: The Musical featured 19 songs. The play was co-created by Kevin Murphy C'89. 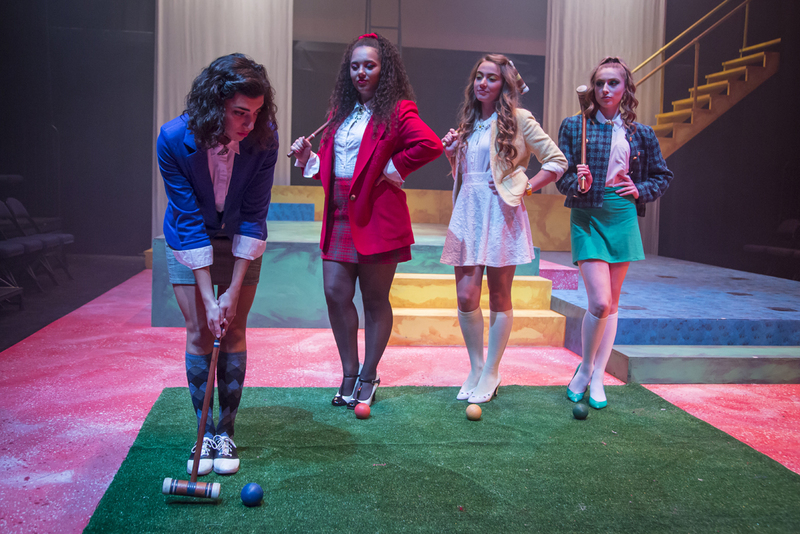 December 2018 – Drew University’s performance of Heathers: The Musical is nominated for Best College Student Production from BroadwayWorld New Jersey. The fall 2017 production was directed by Emily Dzioba C’18 and featured 19 songs. In an interview, Dzioba said the play “has a gritty underbelly that I feel other musicals don’t necessarily have. It’s in your face, but in a fun way!” The musical was among a half-dozen plays that Drew’s nationally ranked Theatre & Dance Department produced during the 2017-18 academic year. Another wrinkle: Heathers: The Musical was co-created by a Drew alumnus: Kevin Murphy C’89, an Emmy Award-winning writer and producer. In fact, Murphy helped Dzioba shaped her approach to the play and even returned to campus to see it. Best College Student Production is among 25 prizes that BroadwayWorld will award in January. Other categories include Best Play, Best Professional Theater Company and Best Ensemble Performance in a Play. BroadwayWorld readers are voting for their favorite nominees. To vote for the Best College Student Production, please click here.